The edit contains 6 perfectly curated colours suitable for most skin tones which finish, brighten, contour and highlight. There are 3 ambient lighting powders, 2 ambient lighting blushes and 1 ambient lighting bronzer. 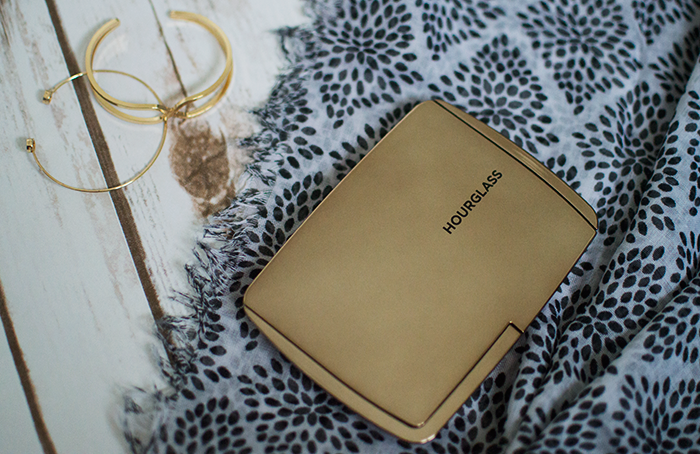 If like me you're a newbie to Hourglass, the palette will add 5 staple powders to your collection, plus one limited edition powder which is ideal for strobing (I have a sneaky guide to strobing here). 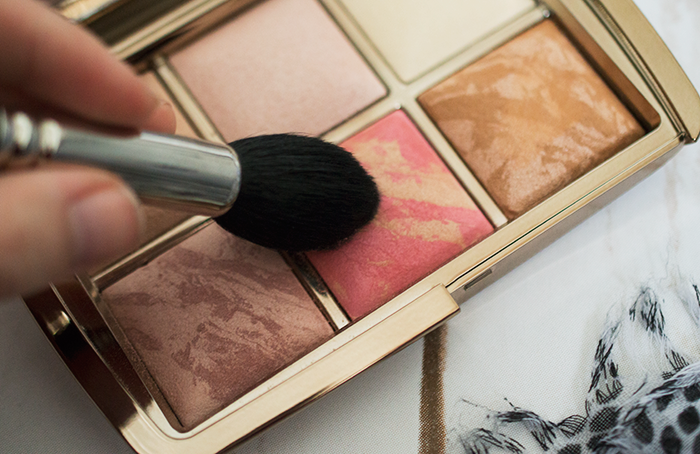 This means you can instantly add a selection of Hourglass products to your collection. So lets get onto the powders themselves. When I swatched the products on my hand before I bought it, I was worried about how glittery it looked. But once the excess is tapped off the powders apply beautifully to the skin without making you look like a disco ball! 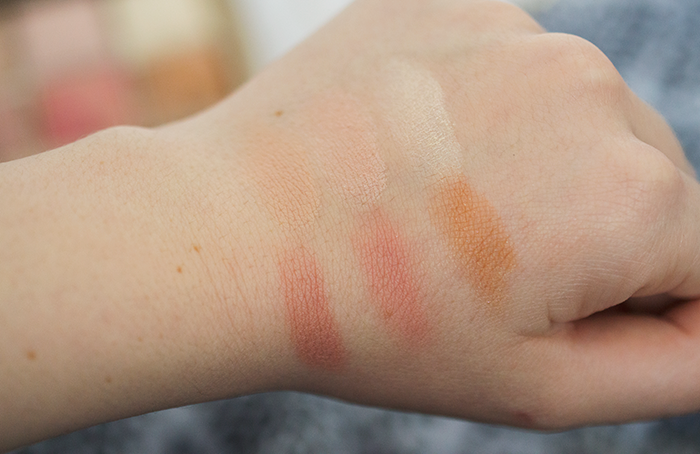 And I really love mixing the colours to create something new, combining the two blushes is my favourite! At £65 it's not the cheapest palette in the world, but when you consider the individual powders are £28 each normally, it kinda softens the blow. My personal highlight of the palette? The mirror is ah-mazing and makes it the perfect travel companion. Dim Light is a neutral peach beige powder that blurs imperfections whilst warming up the face. Iridescent Light is a soft pink pearl powder. It looks like it has a lot of glitter in it but once the excess is tapped off, it doesn't apply glittery on the skin. I've actually been enjoying wearing this as a subtle everyday eyeshadow. Diffused Light is a warm, pale yellow powder that conceals redness. Mood Exposure is a plum toned ambient blush which is supposed to brighten the complexion. 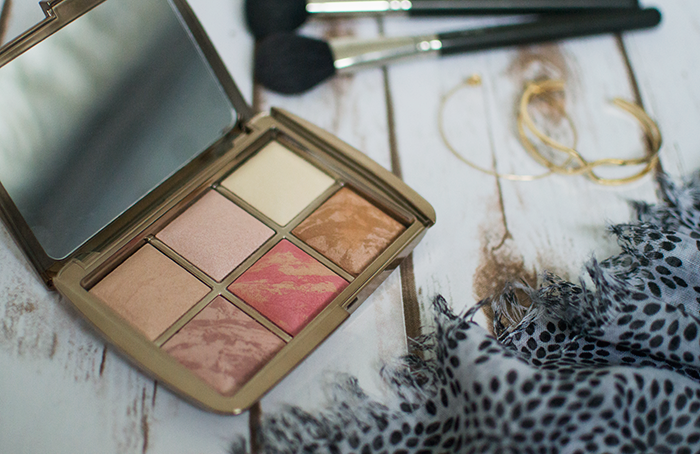 Luminous Flush is a champagne rose ambient blush. My personal favourite of the palette. Luminous Bronze Light is a medium tan shade. It looks a little orangey in the picture but it doesn't look like that in real life. 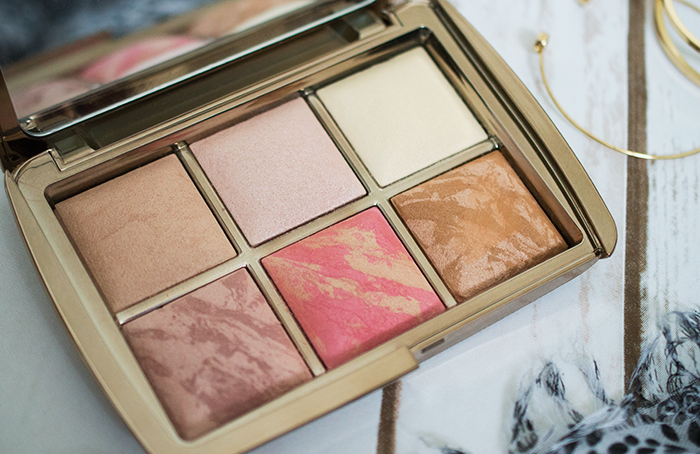 You can buy the Hourglass Ambient Lighting Edit Palette here.